Throughout my life, I have learned from both my successes and failures; I state it right on the homepage. So, I can’t simply talk about success. As a normal function of taking classes, tests are given to measure your understanding and comprehension of the material covered. I am studious and have been rewarded for my efforts with high marks. However, I do not have an unblemished record. This week has been an example of that. I took an exam in one of my classes and felt really good walking in the door. I had thoroughly covered the material and felt confident. During the exam, I was constantly checking the clock to make sure I had enough time to finish. I attacked the low hanging fruit first and then the ones taking more consideration. Afterwards, I walked out the door as confidently as a I had walked in. The test was returned and I was surprised to see a portion of instructions encircled in red. One word stood out among all the rest – handwriting. My heart sank and the wind immediately left my sails. My knowledge and understanding of the content was no longer the issue. Embarrassed, I knew I had failed at something that should have been a non-issue; something learned in elementary school. Rather than letting this failure get me down and affect my motivation, I am ready to learn and move on. Obviously, this has a simple solution – take more time writing my responses on the next exam. Beyond that, I asked myself how can I use this example to help prepare myself for larger failures that may, and likely will, come? 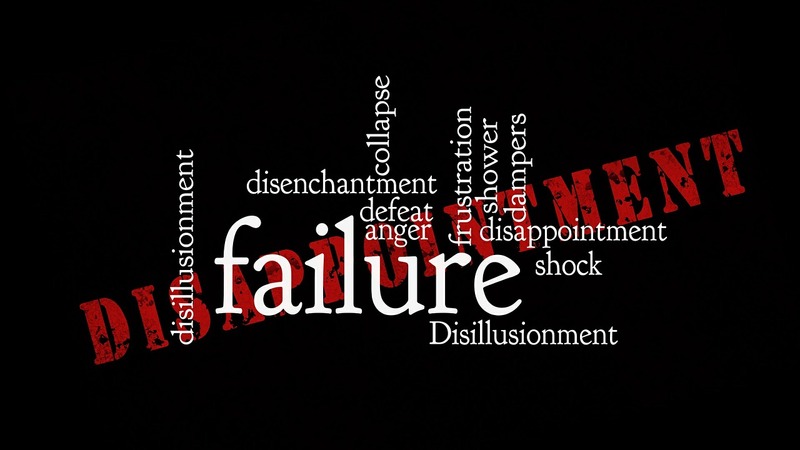 Below are my 7 steps on how to effectively react to failures to do better in the future. Accept the failure: It happened, now take a moment to get out the frustration and clear your mind. Done yet? Double check to make sure there is no lingering negativity floating around. Analyze: What happened? What were the circumstances leading to the failure? Internal Review: How could I have avoided this? What was my internal systemic issue that allowed this to happen? External Review : Without blaming, were there any external factors that could repeat, which I must consider for the future? Fix it: Compile your thoughts and make real decisions that will help you avoid making the same mistake again. Consider it a lesson learned: Once you have found the fix, find a way to remind yourself before the next time it could come up. If you don’t prepare adequately, you are bound to repeat. Now, I am thinking about this as a reaction to a single test in a class, which is not something that will have a huge impact on my final grade (hopefully), my graduation, my career or my life. However, this same process to analyze and react appropriately should be used equally in your personal life and in business. Failure can be a good thing as long as you react in a manner that turns it into a learning experience; rather than the beginning of the end. Failures should be looked at as the opportunity for a new beginning. After taking a moment to think about it, what are the best things you have taken away – learned – as a result of a failure? Please let me know in a comment below. ← Give and Take – Giving Works!